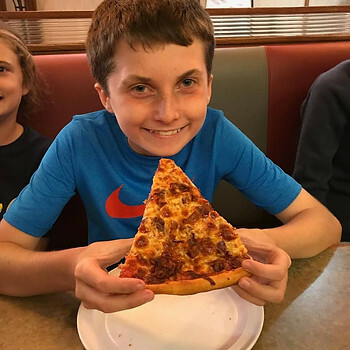 Fairfield mom shares how her son overcame his severe food allergies! My name is Michelle Kresser. I am an A.R.T.® Practitioner and Health Coach. My background is in Healthcare Administration and I have an MBA in Finance. I became an A.R.T.® Practitioner after my son was treated for his severe food allergies by a program called A.R.T. Allergy Release Technique® and now has no more severe food allergies. He can eat whatever he wants including milk, eggs, peanuts & tree nuts that he was severely allergic too. After years of his allergist telling me there was nothing could be done, I found someone and something that helped. Seeing is truly believing! I loved and believe in this process so much that I want to help people with the same health issues. I want to pass on our story to give others hope. You can find more about ART on my website at AllergyWellCT.com. I currently can help those with Food Sensitivities, Oral Allergy Syndrome, Lactose Intolerance, Mild EOE, Environmental and Chemical allergies and more. John Henry’s first slice of pizza at a restaurant!! I am a wife and mother of four children. I live with my family in Fairfield, CT. My son, John Henry, my second eldest child had severe food allergies. He was actually severely allergic to milk, eggs, peanuts, and tree nuts. I was told to avoid these foods and carry an epi-pen at all times. I was really shocked and overwhelmed when I found about all his allergies. My little baby had so many allergies. How did this happen? Was it my fault? the environment? I felt sad, angry and confused. My husband and I felt we were on our own as to how to figure this out. I didn’t even know anyone who had a severe milk allergy. I had to learn how to read labels, alter recipes and keep John Henry safe. I didn’t want his food allergies to affect his confidence and how he saw himself in the world. I always told him it is who you are and who you are with and not what you are eating that matters. I believed it and I hoped he would. I also told him he could do anything he wanted to do and to never feel like he couldn’t do something because of his food allergies. To experience your child going through anaphylactic shock is by far one of the most terrifying experiences I’ve ever been through. The first time was when my son was almost 2 years old. He had a piece of cake that was supposed to be “safe” for him. I checked with the baker several times. I noticed John Henry start to cough and wheeze which got worse and worse. Then I noticed his coloring was turning gray and his legs started to give out as his blood pressure dropped. I immediately panicked. The fear was paralyzing. He was going into anaphylactic shock. I held my son tightly while my husband gave him the epi-pen in his thigh. Thankfully, the shot had and immediate impact. We then went to the ER. After the second time John Henry went into anaphylaxis from a mistaken glass of cow’s milk, I created what I called a “bulletproof” plan. John Henry had his own section of the fridge, I would always make his food portions first. I even made all his milk in the morning in special cups and put them in the fridge so I didn’t have to second guess myself all day long. No one other than my husband and I would prepare his food. He never ate out at a restaurant. He could only eat items that came in a package that I could read or a fruit or vegetable that had absolutely no chance of cross-contamination. It was strict but it worked. We were safe at home. But, living with food allergies is a constant struggle. It’s a constant worry. When John Henry was around 7, a friend from college who has 3 children with similar allergies heard on the playground about a woman in Lexington, MA who was helping children with their severe food allergies. Her program was called A.R.T. Allergy Release Technique®. She was really excited about it and shared it with me. I was really skeptical. There was little information about this on the internet and my current allergist wasn’t open to checking out the information at all. After another year of disappointing skin test results went by I was growing desperate so I put my name on the list. John Henry finally began the program when he turned 10. We were in the long distance program which meant traveling to Lexington two times a week in the summer, once a month in the winter and weekly phone calls during the school year. Two times a week driving to Massachusetts is really hard but we were determined. The first food we began was the egg. This technique reboots your immune system. Once your immune system is stronger you can begin to slowly introduce the forbidden foods. This process gives you tools to cope with getting ready to eat these foods. No one addresses this at the allergist. For example, if you have ever done food challenge, you know they just give you the food to see if there is a reaction. They never address all the fear and anxiety that goes with having food allergies even if you have grown out of them. John Henry was about to overcome the impossible. Eat foods that he couldn’t even have the smallest amount of. What a tremendous challenge. I was amazed to watch him, as he believed in the process and believed in himself. He would practice saying a mantra statement. “I am safe, I am strong, I am healthy.” You have to believe in this statement with your whole mind and body. This is a journey that day by day you get closer to your goal. You feel like will I get there? But, slowly and safely you get there. I was seeing life threatening allergies begin to disappear before my eyes. The day comes and you can begin to eat baked goods with egg like brownies and muffins. Just adding a few simple things is so freeing. Next, you begin adding small amounts of french toast and work up to eating an entire egg cooked in french toast. Once you are done you can begin hard boiled then scrambled eggs. I bought so many eggs. I was cooking up a storm. I should have gotten chickens. Next, we were ready for milk. Milk is like the ultimate dream. Once milk would be done the number of new things John Henry could eat seemed endless. As you move along with milk, you can suddenly begin baked goods with milk and increase what you can try. We then started working up to a cup of ice cream. It was the ice cream summer for sure. It was another summer driving up to MA. I definitely spent my entire summer in the car. But, I enjoyed the time with my son. I will remember those rides for the rest of my life. The best was the pizza tour. This process is so amazing for my son. This moment was truly a healing moment for our family. Imagine we all try to go to eat and everyone is enjoying their food and my son can never participate. Everyone my husband John, Grace, Sophie and Caroline, and I were so happy for him at every step. It’s like when you watch your little baby try new foods for the first time. That feeling of will they like it? It’s fun. That’s what it’s like but with an 11-year-old. We went to 5 different pizza places. The grin on his face the first time at Mike’s pizza was priceless. He LOVES pizza. He was participating in something so simple as having pizza with his family. All the hard work, all the stress, and emotions were worth it all. There is something about pushing forward and seeing progress. It takes over you. The momentum is strong and will to heal is amazing. You have to be patient and time heals. Just last week John Henry had to make a breakfast meal for his cooking class at middle school. He made scrambled eggs with tomatoes and feta cheese with homemade banana bread and a strawberry, banana and yogurt fruit smoothie. Hard to imagine right? What is life like on the other side? He was the first one to be done eating his eggs. For me, it felt like everything had come full circle. It’s like a miracle every time for me all the steps and milestones. This process inspired me to train to become an A.R.T.® Practitioner. I am the first person to bring this process to CT. I have trained over the past two years in different modalities. I became a Health Coach with the Institute for Integrative Nutrition®. I have trained in Reiki Level 1 and 2 and Eden Energy. I also am a Board Certified Holistic Health Practitioner through the American Association of Drugless Practitioners (AADP) . I have trained extensively with Amy Thieringer, the creator A.R.T. Allergy Release Technique® and I am happy to say I am a certified as an A.R.T.® Practitioner. I believe in this process so much I want to help others. I know the suffering and the worry that goes along with food allergies. I want other families to feel the same way I did as I watch my son fully participate in his life. I am currently excepting clients that do not carry an epi-pen at this time. I can help with digestive issues, food sensitivities, mild EOE, lactose intolerance, oral allergy syndrome, environmental and chemical sensitivities and more. Please check out my website for more information about this process AllergyWellct.com. Once John Henry asked me why did I have food allergies? I told him I didn’t know. But, I told John Henry that not everyone gets an answer to their prayers. Not everyone gets a chance to work so hard and see the results that you have made. Thank you to my husband for supporting and believing in me and for not letting my fears get in the way of moving forward. Thank you to my girls for being such great troopers and for always cheering us on and for being truly happy for your brother. Thank you, John Henry, for showing me that I can do anything too. That I can have faith and every day, dot by dot, spoon by spoon, little by little I can get there too.